With Medicare and third-party payor policy and American Medical Association (AMA) Current Procedural Terminology (CPT) coding changes taking effect in 2018, it is imperative that surgeons and their practice coding and billing team have accurate and up-to-date information to protect reimbursement and optimize efficiency. 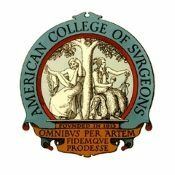 To help surgeons succeed, the American College of Surgeons (ACS) has scheduled several general surgery coding workshops in 2018. Participants in a coding workshop will not only learn how to correctly report surgical procedures and medical services, but will also have access to the tools necessary to succeed, including a coding workbook to keep for future reference that includes exercises, checklists, resource guides, templates, and examples. Physicians receive up to 6.5 AMA PRA Category 1 Credits™ for each day of participation. In addition, each day of the workshop meets AAPC guidelines for 6.5 continuing education units. *The New York City and (November) Chicago workshops offer a third day devoted to trauma and critical care coding. Select the correct category of code and level of service for E/M visits. Appropriately assign modifiers to E/M visits. Accurately code lesion excision and repair codes. Describe the medical and surgical services that are and are not included in the global payment for surgery. Assess and improve one key aspect of the revenue cycle function. Implement strategies for collecting from patients with high deductible health plans. Correctly code common general surgery procedures including breast, endoscopy, colorectal, bariatric, trauma, gall bladder, liver, hernia, and more. Accurately use new and revised incompetent vein treatment codes. Identify areas for improvement in surgical documentation. Accurately apply modifiers when they are required and understand their impact on reimbursement. Understand how to report and get paid for unlisted procedures. Integrate 2018 CPT and HCPCS coding changes and guidelines into practice. Discuss how the pre, intra and post-operative component of trauma procedures are valued. Understand the difference between co-surgeon and assistant surgeon in trauma. Describe how surgical modifiers are used in trauma and how they impact payment. Describe accurate coding of common surgical trauma scenarios. Apply coding concepts to complex trauma surgeries, including multiple injuries and damage control surgery. Apply modifiers to E/M and critical care services. Identify scenarios when critical care coding is appropriate and when it is not. For more information about the 2018 ACS coding workshops, please visit the ACS website or e-mail practicemanagement@facs.org. The American College of Surgeons (ACS) will host our seventh annual Leadership & Advocacy Summit, May 19–22 at the Renaissance Washington, DC Downtown Hotel. The Summit is a dual meeting offering comprehensive and specialized sessions that provide volunteer leaders and advocates with the skills and tools they need to be effective in their roles. Registration is now open! Register by Monday, April 23 to take advantage of the early bird rate! Join more than 400 College leaders and ACS members for the 2018 ACS Leadership & Advocacy Summit. The Leadership portion of the meeting will include a full day of sessions devoted to building communication and strategic thinking skills for effective leadership in and out of the operating room. Topics for 2018 will focus on change management, leading in times of crisis, ethics in surgical leadership, fostering leadership skills in young surgeons and residents, managing complex and diverse teams, and getting the most from your team. In addition, a portion of the meeting will be dedicated to sharing ACS chapter success stories and working with you to identify strategies to help strengthen ACS chapters. The Advocacy portion of the meeting will provide you with the opportunity to hear more about legislative priorities the College is pursuing on your behalf, and will bring together ACS members to develop advocacy skills, learn about legislative and health policy priorities, and advocate in meetings with members of Congress and their staffs. For information on the Leadership Summit, please contact Brian Frankel at bfrankel@facs.org or 312-202-5361. For information on the Advocacy Summit, please contact Michael Carmody at mcarmody@facs.org or 202-672-1511. In the next two days, Congress will be considering legislation to continue to fund the government. In the past 24 hours, we have learned that Congress intends to include some additional items in this legislation. The ACS supports two of these items but is in opposition to another. We strongly encourage you to review ACS’s letter circulated to all members of Congress earlier today. Flexibility for the Merit-based Incentive Payment System (MIPS) related to how much weight will be ascribed to the cost component in an individual physician’s MIPS score as well as setting the level at which physicians will either receive a bonus or a cut. This language, and the effort to include it, has been spearheaded and long championed by the ACS. ACS strongly supports the inclusion of these provisions in the larger legislation. Easing meaningful use (MU) requirements by removing an outdated requirement directing the Secretary of Health and Human Services (HHS) to continue to make meaningful use standards increasingly stringent over time. Increasingly stringent MU requirements that do not lead to improvements in patient care are unnecessary and unfair to both patients and providers. ACS supports this language. Continuation of the severely misguided policy relative to “Misvalued Codes” that will almost certainly result in broad, across the board cuts in Medicare physician payment. ACS opposes this language. We need your help in ensuring that all Senators and Representatives know the ACS’ position on these provisions. Accordingly, we ask you to use the link below to send a message to your individual Senators and Representative, informing them that you support the ACS position. Who Should Attend and What’s Included? *The following sessions are included with your Clinical Congress registration and are not ticketed. Registering for these sessions does not guarantee seating within the course. Seating is provided on a first-come, first-served basis until the meeting room is full. Following the presentations, Dr. Rachel P. Tindall was awarded Most Interesting Case and Dr. Michael A. Archer was selected as runner-up. Congratulations to Drs. Tindall and Archer. Special thanks to all of our presenters and the physicians who submitted their abstracts for consideration. 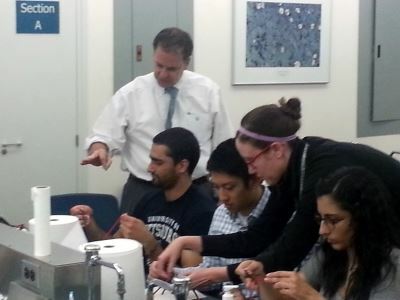 On Monday, October 12th, 2015 Christopher Bartels, MD, FACS, Chapter President-Elect, guided first and second year medical students through their first experience with surgical knot tying and suturing. Dr. Bartels was assisted by Katherine Kirk, MD, Patrick Varley, MD, and Paul Waltz, MD. Special thanks to Chelsea Meenan, class of 2018, for organizing the event. 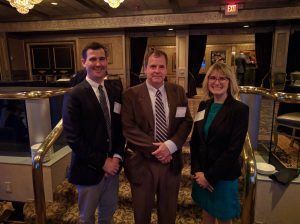 Members of the Southwestern Pennsylvania Chapter of the American College of Surgeons (ACS) met in the Ohio Room in the Rivers Casino overlooking Three Rivers Point May 11. The chapter was hosting residents from local programs for the annual “Most Interesting Cases” for presentation and discussion with members. Residents from UPMC St. Margaret’s, UPMC Shadyside, UPMC Mercy, Conemaugh Memorial Medical Center and Allegheny Health Network (AHN) Allegheny General Hospital submitted a total of 17 abstracts which were reviewed by council, and from that number, six were selected for oral presentation at the May 11 meeting. 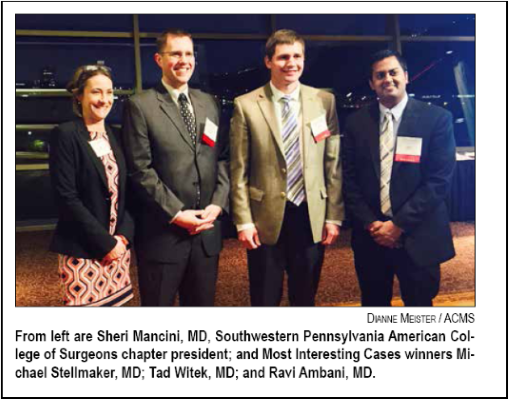 Learn more about becoming a member of the American College of Surgeons - SWPA Chapter.